Asset management can be defined as the selection and maintenance over time of listed and unlisted financial instruments, with the aim of obtaining the best possible return for a certain level of risk. Nowadays, the asset management industry is under pressure for various reasons, including reductions in margins, constant regulatory, macro-economic and political changes, and new business models such as “robo-advice”. 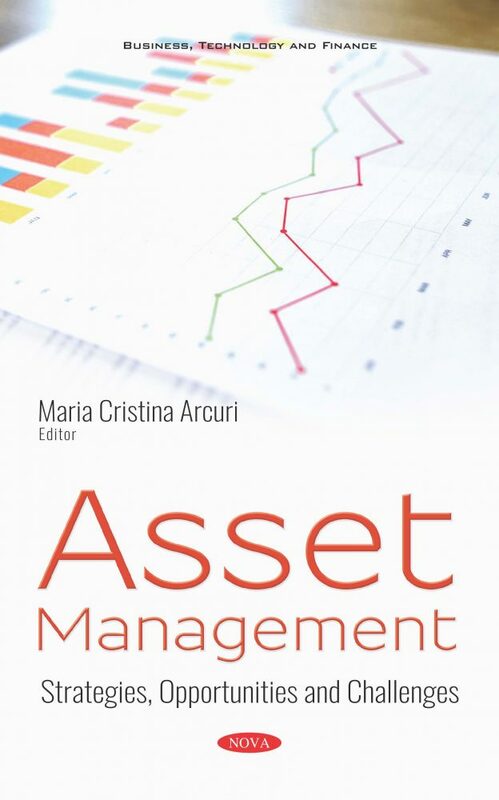 This book aims to provide an overview of asset management by focusing on some of the main issues in the sector. It gathers contributions on the system, strategies, opportunities and challenges. Chapter One highlights the importance of adopting an enterprise approach to the implementation of the asset management system, especially for large organizations. Chapter Two focuses on active and passive portfolio investment strategies. Active strategies aim to “beat the market”, while passive strategies support the efficient market theory by implying that a rational investor should “buy the market” as it is. Empirical evidence, in fact, supports both strategies. Chapter Three discusses a quantitative model applied to equity indexes corrected in order to consider currency risk. Chapter Four compares the portfolio characteristics and performance measures of social impact mutual funds, which implement different sustainable and responsible investment strategies. Chapter Five deals with impact investing, which is a niche within the Socially Responsible Investing (SRI) parameters. Chapter Six examines the asset allocation strategies of Sovereign Wealth Funds (SWFs), which are state-owned investment funds or entities that have emerged as important investors in global equity. 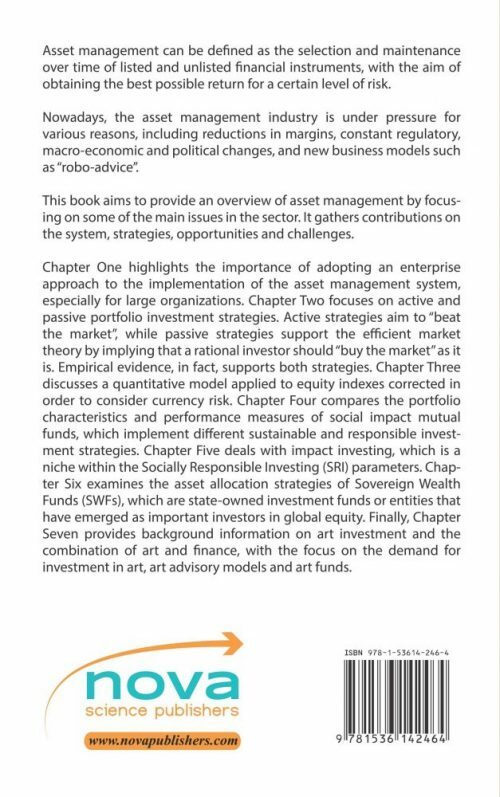 Finally, Chapter Seven provides background information on art investment and the combination of art and finance, with the focus on the demand for investment in art, art advisory models and art funds.